And some of the contracts dished out have been laughable. I’m glad they didn’t give out some of those turd deals. Sure, they have holes. They will have holes going into the season, like many teams. I see an 8-8, likely a 7-9 team...even with a good draft. Next year I expect a much more active FA period. Chargers signed Mike Pouncey, that could lead to Slauson signing with the Lions now. Would be a nice stop gap to cover them if they can't get a game ready OG/OC in the draft. My only real disappointment is no investment in the d-line outside of Ziggy. Quinn seemed to recognize this in his offseason press conference recapping last year. I understand he wants to concentrate our resources elsewhere, but we need a legit starter there. Same goes for TE. 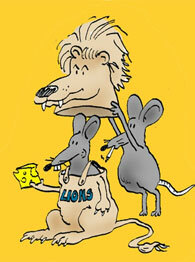 The Lions seem determined not spend money - question is why? 1. Bob Quinn is trying to do things the Patriot way and not overspend for free agents and instead try to find diamonds in the rough? 2. Are the lions looking to spend big money down the road? 3. Bob Quinn's first year was blind dumb luck and he really doesn't know what he is doing? I'm sure it's a lot to do with 1 now that Matty P is the HC. He's going to have the same ideas on team building and player value vs contract value. Number 2 also looks to be at play with the way the deals are being structured. Right now they are signing almost everyone to short deals that either end after this year or can be released cheaply after this year. Last years deals for the most part were also set up to be releasable cheaply next year. It's possible with the shorted off-season due to Patricia being hired after the Super Bowl, that Quinn and Patricia didn't feel comfortable committing long term to any big name free agents. Patricia is just guessing right now how to use the returning players on the roster and it's probably wise to actually see how his core of players work in his system before taking chances on expensive FAs. They've got about $15mil left of cap. Figure $2.9 for rookies. Quinn has always looked at contract value and he was right about Ebron's. It was about a million less than what his 5th yr option was. There's still the 2nd level FA's out there and he'll go after those he wants, or he'll wait untill after the draft and grab vets that he knows will get shaken look during camp. We're looking at philosophy changes at RB, OL, DL and defense overall. Matty P spends a lot of time looking at tape. He hasn't seen them on the field, but he has a feeling for what he's got right now. We don't even know how what we have right now will perform in new schemes and philosophies. Quinn doesn't play cheap with the cap. He's spent the largest % of the cap last season, so we know he'll put it to use. Luke Wilson signed. The word right now it's a 1 yr deal 2.5M with additional incentives available. I wish they would have done more than a 1 yr deal, but I'm very happy he is their guy. He's athletically as good if not a little better than Ebron and while not a great blocker he can add more than Ebron did inline. With the rumor the Lions were telling players they are looking to add one FA TE and one in the draft, Wilson will make a very good stop gap for this year. Couple of DTs coming in for visits. Hankins tops my list. Bob Quinn seems to like one year deals. It keeps his bank account full enough to add positions of need as they arise without having to pay players long after they are gone. I like Hankins or Sylvester Williams as top tier tackles, and Alan Branch and Jean-Francois as nice depth. You don't suppose Quinn is inviting everyone right now to put pressure on Hankins or Williams to sign on? Jean-Francois just announced he's signing. I think Jean-Francois and Branch are both going to get signed regardless of what else happens in FA. Williams and Hankins is going to be interesting. Williams is rumored to be deciding between WAS and DET and now Hankins is being targeted. Hopefully that means the Lions are locked in to sign one of the two. Williams or Hankins plus Branch and Jean-Francois would give the Lions everything they need to be multiple with better dline depth than last season. Still need to add an OC/OG, but if they lock down the DTs they will almost be able to go after any guy they like in the draft without leaving a complete hole on the roster. I also expect Robinson will be better this season now that his Alabama DL coach is our new DL coach. He knows his strengths and weaknesses best. . Apparently the Jean-Francios signing was just them exchanging proposals. Was put on hold with Branch visiting. It could still happen but sources are reporting Williams just signed. **Edit** It's official. Lions signed Williams. Excellent. Even better if Bob Quinn did all this with a prudent amount of dollars. This is great news.